Call A Stryker Hip Injury Lawyer Now! Please seek out a medical professional immediately for an evaluation. Then call one of our Stryker Hip Injury Lawyers now to receive a no-charge consultation to evaluate legal options. For Stryker Hip Injuries, Call Now. If you or a loved one has ever had a Stryker Hip Replacement, pay close attention to what you read because this may be the most important call you ever make! Suffering From Stryker Hip Replacement? 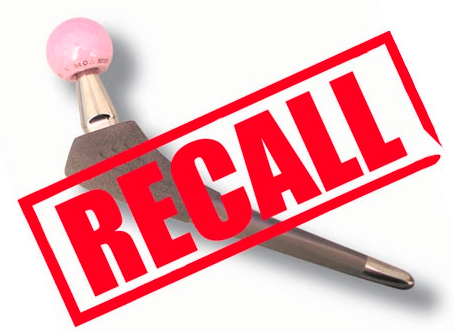 Since June 2012, Stryker, including the Stryker Rejuvenate and the Stryker ABGII have both been put on recall. A few months before the Stryker hip replacements were proven to cause severe damage, Stryker acknowledged that their hip replacement may cause severe orthopedic misalignment and metal ion infection around the joint. Because of stem pressure into the femur, and infections caused by metal-ion corrosion, you may required to undergo revision surgery. If you or a loved one suffered from the hip replacement within the last few years, or is currently experiencing symptoms after having a hip replacement using a Stryker device, please seek immediate medical attention. Then call the number listed on this website to receive a FREE consultation about your potential claim against Stryker. There is no obligation to call and you deserve MAXIMUM compensation. Lynch Daskal Emery LLP was founded in 2006 by James R. Lynch, Bernard Daskal and Scott R. Emery. LDE offers a wide range of litigation services. Our personal injury division is led by founding partner Bernard Daskal, who has over fifteen years of experience in litigating cases involving medical malpractice and injuries caused by negligent conditions, drugs, and products. Bernard has also co-counseled with lawyers across the country to prosecute personal injury claims. Injurylawsuit1.com is a group venture, PAID ATTORNEY advertisement. The information contained herein is not legal advice and this website is for informational purposes only. By calling the listed telephone number, you are not forming an attorney-client relationship. You can only retain a lawyer by entering into a written retainer agreement with that attorney. Past performances do not guarantee future results. View our disclaimer. Never stop taking a prescription medication without consulting your doctor first. © 2013 Injury Lawsuit.com | HyperTarget Marketing. All Rights Reserved.